From the murky depths of Spanish caves comes a surprising insight. Neanderthals created art. It's been proposed before. But now experts say two new studies finally give convincing evidence. It shows that our evolutionary cousins had the brainpower to make artistic works. It also shows they could use symbols. Estimates show paintings on cave walls and decorated seashells in Spain were created long before our species entered Europe. So there's no way Homo sapiens could have made them. They also couldn’t have influenced Neanderthals to copy their artwork. Until now, most scientists thought all cave paintings were the work of our species. But the new work concludes that some were made about 20,000 years before H. sapiens moved into Europe. The previously known paintings show an array of lines. They show some disks. And they show the outline of a hand. That's a surprise. It "constitutes a major breakthrough in the field of human evolution studies." That's according to Wil Roebroeks. He works at Leiden University. It is in the Netherlands. He is an expert on Neanderthals. He didn't participate in the new work. He said in an email that Neanderthal "ownership of some cave art is a fact." The second study provided evidence that Neanderthals used pigments and piercings to modify shells. This was some 115,000 years ago. This is far earlier than similar artifacts are associated with H. sapiens anywhere. That shows Neanderthals "were quite capable of inventing the ornaments themselves." That's according to Paola Villa. She works at the University of Colorado Museum in Boulder. She didn't participate in the new work. Neanderthals lived in Europe and Asia before disappearing about 40,000 years ago. That's around the time H. sapiens moved into Europe from Africa. The research was released last Thursday. It was released by the journals Science and Science Advances. It focused on determining the ages of previously known artifacts. One team of European researchers concentrated on painted artwork. It was in three caves. 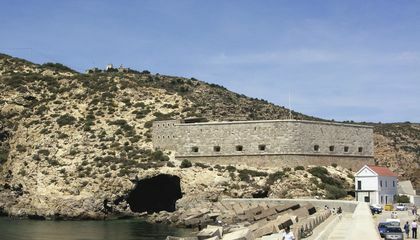 The caves were in northern Spain. They were in southern Spain. And they were in west-central Spain. They carefully removed tiny bits of rocky crust. It had formed on the artwork surfaces. Then they analyzed them in a lab. 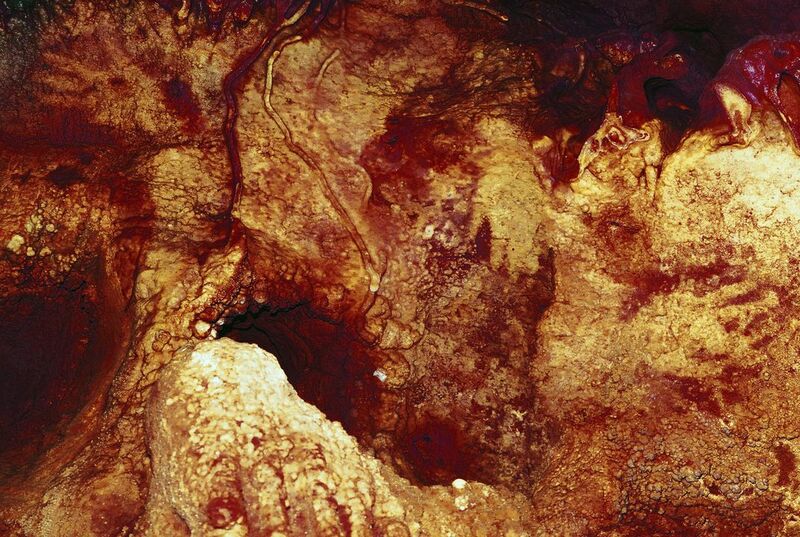 Results showed artwork from all three were around 65,000 years old. This is much older than the arrival of H. sapiens in Europe. That occurred some 45,000 to 40,000 years ago. The artwork is rudimentary. Dirk Hoffmann works at the Max Planck Institute for Evolutionary Anthropology. It is in Leipzig, Germany. He said it's symbolic. He was a study author. One work is a collection of lines. They look like a ladder. Others include red dots and disks. They are on curtainlike rock formations. Another is a stenciled outline of a hand. It was made by spewing pigment over a hand. It was held against the wall, Hoffmann said. Making the hand stencil involves so many steps. It includes preparation of the pigment. It's clearly a deliberate creation. A number of hand stencils seem to have been placed with care rather than randomly. So they are certainly "meaningful symbols," the authors wrote. The other study sought to find the age of shells. They had been colored and punctured. These were from another cave. It was in southeast Spain. Previous studies had estimated an age of 45,000 to 50,000 years old. This made them too young to rule out a link to H. sapiens. For the new work, researchers analyzed rock. It had formed above where the shells had been found. Results showed the shells were around 115,000 years old. That is some 20,000 to 40,000 years older than comparable artifacts in Africa or western Asia that are attributed to H. sapiens. The finding shows Neanderthals shared symbolic thinking with H. sapiens. It suggests the two species were "indistinguishable" in terms of overall mental ability. That's what the researchers wrote. Nobody knows what the shells symbolized. Maybe they showed membership in a group like a clan. That's according to Joao Zilhao. He is with the Catalan Institution for Research and Advanced Studies. It is in Barcelona, Spain. He did the study with Hoffmann and others. Not all experts were convinced by the studies. Harold Dibble is an archaeologist. He works at the University of Pennsylvania. He studies Neanderthal behavior. He wondered if the shell color and holes could have occurred naturally. And he said he'd like to see the dating in the cave art paper confirmed by another lab. Warren Sharp works at the Berkeley Geochronology Center. It is in California. He is an expert on the dating technique used in both papers. He said he found the results of both studies to be "very solid." They show "we are not the only ones capable of 'modern' behavior," he wrote in an email. Why are some experts skeptical of the study results?